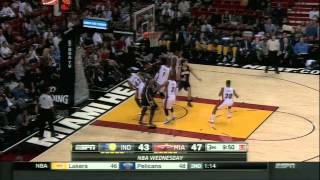 Coach Nick went through some key plays during last night's November 12th game between the Indiana Pacers and Miami Heat. Chris Bosh wasn't able to take advantage of Roy Hibbert guarding him, while Chris Copeland made a key drive to help lift the Pacers. Pacers At Heat Is Dwyane Wade Back To His Old Self? Nov 12, 2013 · The creakiness extends to Dwyane Wade, ... The Pacers are only 27 years old on average, ... The Heat and Pacers play opposite games.